Back to school means the daily bathroom blitz to create smooth, school-friendly hair (and the nightly nit-check – eurgh!). If you’re struggling with your little diva’s post-holiday tangles, check out these sanity-savers and ditch the morning tears and tantrums. GAIA Natural Baby Conditioning Detangler can be used on freshly-washed hair to condition and make combing a breeze. Or use it on dry hair to loosen knots and tangles and leave hair soft, shiny and manageable. Infused with certified organic chamomile to bring out natural highlights, wheat protein to increase strength and reduce splitting, and Pro-Vitamin B5 for its deep conditioning properties, this delicious-smelling pump pack is your best weapon to fight unruly “bed-hair”! For tangle-taming made simple, start at the ends first and then the mid-lengths before tackling the crown. Or wash hair the night before, spray in and braid before bed. In the morning, your little lady will have perfect mermaid waves without the fuss – brush into a ponytail and go! $9.99 from www.gaiaskinnaturals.com and selected health food stores and pharmacies. 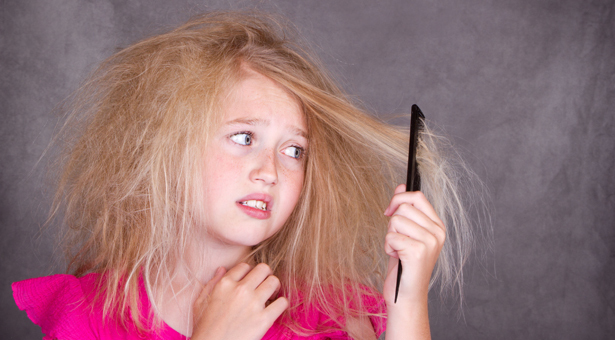 Nits are the bane of every parent’s life. Aside from giving us the heeby-jeebies, head lice can be a nightmare to manage – the repeated treatments, the finicky hair combing to remove the eggs, not to mention the chemical stink of the medicated shampoos and products. eco.kid Lice Bomb uses certified organic, pure essential oils, to aid in the removal of head lice and their eggs, while being non-toxic and non-aggressive to kids. 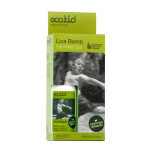 With no parabens, artificial colouring or fragrance and no nasties, eco.kid say their Lice Bomb is so safe you could drink it! For a non-toxic, effective product to nix the nits, grab this. $26.95 from www.licebomb.com. After a summer of “free-range hair”, convincing your primary school princess to tie her hair back can be a challenge. With a range of hair accessories colour-coordinated to match school uniform regulations, Schoolies has a product for any hairstyle you can imagine. Elsa from Frozen side-braid? Try the snag-free hair elastics – metal-free, secure hold and easy to remove. Doc McStuffins-style headband and ponytails? The supa-stretch headbands get the look. Growing out a fringe? The snap clips will keep unruly hair smooth and sleek. Priced from $4.45 at www.thebeautyoffice.com.au. 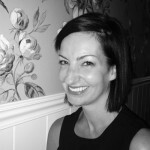 Courtney Robinson combines over 12 years' experience in marketing management with publishing expertise in national youth, lifestyle and corporate titles. Courtney has created highly succesful national and international brands across a broad range of industries but her best two creations are her children, Mackenzie and Asher. Previous PostAre New Years Resolutions a Thing of the Past? Next PostGrab Your February Issue of haven!